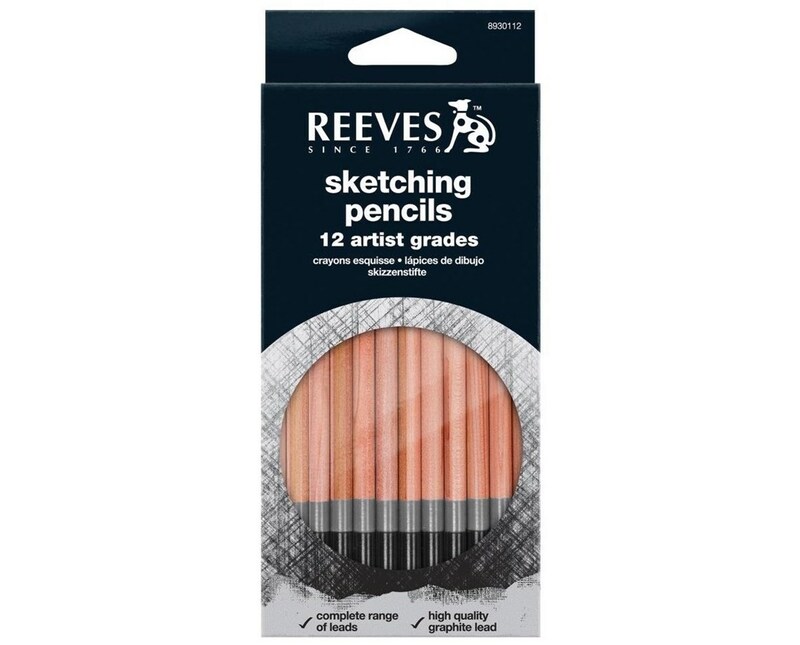 The Reeves Sketching Pencil Set (12-Pack) is a perfect package for all sketching and artistic drawing needs. An ideal drawing tool for professionals and non-professionals, it includes 12 sketching pencils in complete range of lead degrees. Available lead degrees are 4H, 3H, 2H, H, F, HB, B, 2B, 3B, 4B, 5B, and 6B. 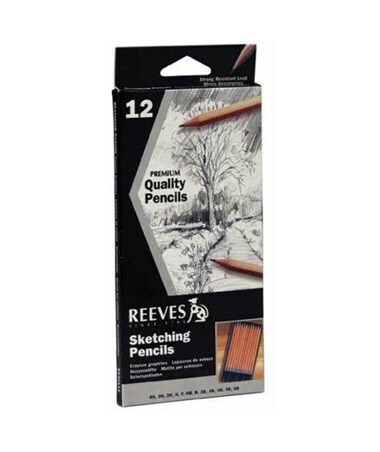 The Reeves Sketching Pencil Set (12-Pack) is durable and heavy-duty. It features premium quality pencils with extremely strong lead cores that resist breakage when sharpened and withstand heavy drawing pressure. Each pencil complies with ASTM D-4236 non-toxicity standards. 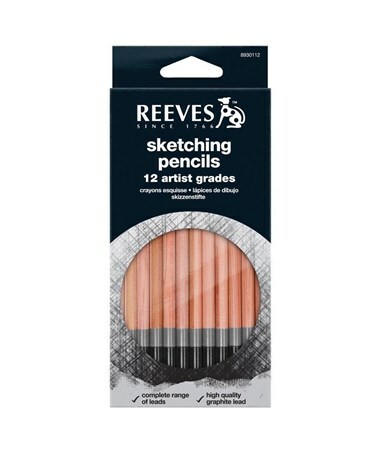 This package includes: 4H, 3H, 2H, H, F, HB, B, 2B, 3B, 4B, 5B, and 6B sketching pencils.